This new “umbrella” ministry was established to incorporate some of the ministries that we currently offer to members of our community but also expand upon what we do now. Elizabeth Ministries is based upon the ministry of hospitality that the Blessed Virgin Mary offered to her cousin Elizabeth when she learned that Elizabeth was also going to bear a son in her old age. 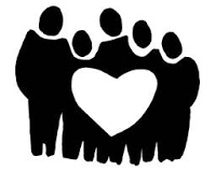 Elizabeth Ministries has been formulated in such a way that we are asking parishioners to consider how you can reach out to the members of our parish who are new, who are experiencing a short or long-term illness, who are grieving the loss of a family member, or who may be expecting a child. The basics are easy: to call, write a card, or visit. Other ways to be involved include preparing a simple meal, providing local transportation or by helping with funeral liturgies or funeral luncheons. For more information, see below or call the parish office, (513) 523-2153. More parishioners will be invited to become part of the committee to plan funerals, lead wake services, be present at the funeral for liturgical ministries, and help with luncheons. Committee members will also receive training so that there will be follow-up for the family. If interested in being a part of this committee, call the parish office, (513) 523-2153 or email the Pastoral Associate. Members of this committee are responsible for welcoming new parishioners, greeting them at Mass making them feel comfortable and help them to get to know others. If interested in being a part of this committee, call the parish office, (513) 523-2153 or email the Pastoral Associate. This ministry will also expand upon the ministry to take communion to the sick and homebound parishioners. Committee members might take meals to the family, help provide transportation to appointments, and simply visit or phone for continued contact by the parish. The committee will also make sure the person is connected to the parish by taking bulletins, photos, etc. If interested in being a part of this committee, call the parish office, (513) 523-2153 or email the Pastoral Associate.